How Much Does the Houston CityPASS Cost? Who Should Consider the Houston CityPASS? Who Should Skip the Houston CityPASS? Is the Houston CityPASS Worth It? 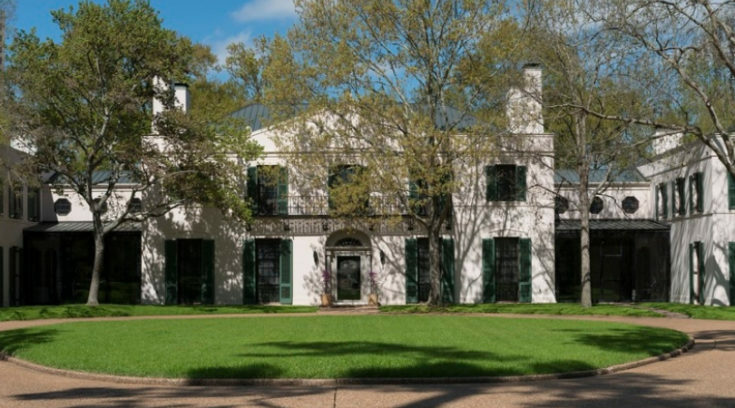 The Houston CityPASS offers entry to five of Houston's top attractions for less! In this review, we explain whether it's worth it for you. 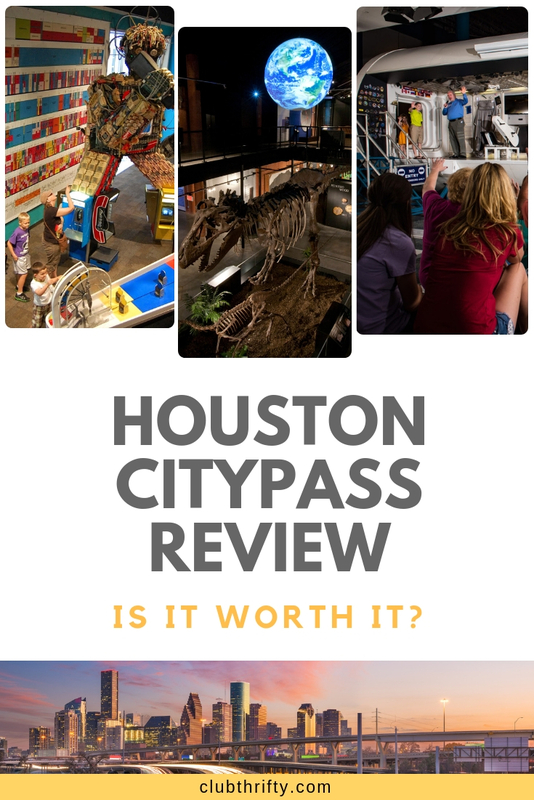 In this Houston CityPASS review, we’ll explore what the pass offers, explain how it works, and determine if the Houston CityPASS is worth it for you. Enjoy! Have you started planning your Houston itinerary yet? 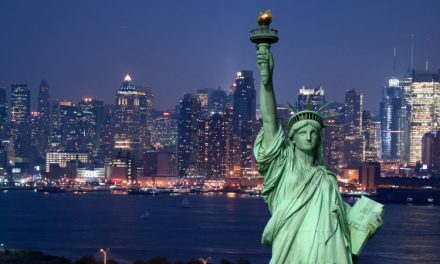 Even if you’re not a big into sightseeing, there are still a few attractions you’ll want to check out while you’re there! Although Houston is a relatively cheap vacation spot, sightseeing costs can definitely eat into your budget. Thankfully, you can cut those costs in half with the Houston CityPASS. So, if you love travel AND saving money, the Houston CityPASS may be right up your alley! Still, it’s not a good fit for everybody. Keep on reading to find out if the Houston CityPASS will be worth it for you! The Houston CityPASS is a sightseeing pass that covers admission to five out of seven major tourist attractions in Houston. Three of these attractions are included on every pass, and you get to choose between two either/or options for your fourth and the fifth. But let’s cut right to the chase: The Houston CityPASS can save you a lot of money. If used to its maximum potential, this pass can save you an impressive 47% on admission fees! That’s more than the savings on the Seattle CityPASS, the Go Chicago Card, or the Denver CityPASS…so I guess everything IS bigger in Texas! The Houston CityPASS is valid for nine consecutive days once it’s used for the first time (including that day). This means you can feel free to take your time and spread out the fun. To get your Houston CityPASS, you can buy it online in advance or in person at any of the included attractions. If you buy it online, you can elect to have a physical ticket booklet shipped to you or you’ll receive a mobile voucher. If you go for the voucher, you need to exchange it for a ticket booklet when you head to your first attraction. You can show the voucher on your mobile phone, or you can print a hard copy if you prefer. The ticket booklet gets you into the attractions, often without having to wait in long lineups. That’s a perk I always enjoy. Just remember that if you plan to exchange the voucher for a ticket booklet, you may have to line up to do it. Want to know how much you’ll save? In the table below, you’ll find the adult and child Houston CityPASS prices and the total regular admission costs of the attractions. See Houston for Less – Save up to 47% off the price of admission to 5 of Houston’s top 7 attractions with the Houston CityPASS! Get yours here. Let’s take a closer look at the hot spots you’ll be enjoying when you buy the Houston CityPASS. Space Center Houston is fascinating for all ages. You’ll see space shuttles, touch a real moon rock, and view a large collection of space suits. 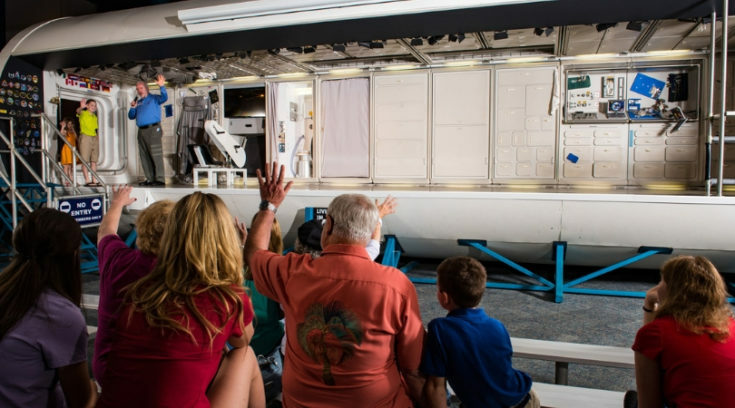 Take the NASA tram tour and see the facilities where astronauts train for trips to space. I’m excited just describing it – so cool. Hot Tip: Book a time for the tram tour as soon as you arrive at the Space Center. Unsurprisingly, it’s super popular and fills up fast! The Aquarium Adventure Exhibit features 500,000-gallons with 400 species of marine life from all over the world. Louisiana Swamp – Highlights include gators, snapping turtles, and bullfrogs. Shipwreck – Explore a sunken ship and the marine life living among its wreckage. You can’t miss the giant Pacific octopus and the living coral reefs. Rainforest – You might be surprised at what lurks in the waters of tropical rainforests: red-bellied piranhas and venomous stingrays! Sunken Temple – Ruins of a lost Mayan civilization featuring a 20-foot Tiger Reticulated Python. Gulf of Mexico – See offshore divers and diverse sea life. Education Room – A hands-on exhibit featuring colorful fish, snakes, and even bearded dragons. White Tigers of the Maharaja’s Temple – The name says it all. See majestic white tigers against a mesmerizing backdrop. 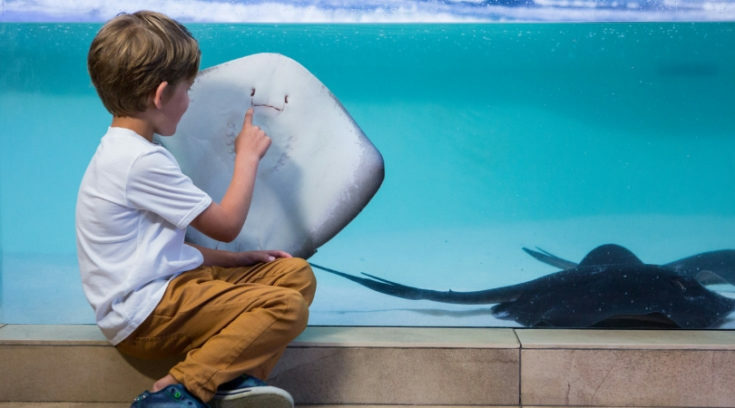 Stingray Reef – Touch and feed real stingrays – the kids will love it! 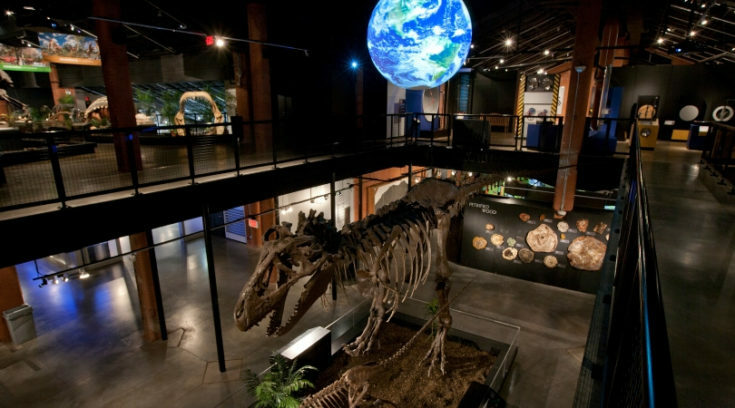 The Houston CityPASS gets you general admission to the Houston Museum of Natural Science. It’s home to 17 permanent exhibitions – make sure you give yourself time to see them all! Morian Hall of Paleontology features prehistoric dinosaur skeletons, as you might expect. What’s different about this display is that the skeletons are arranged to show the predator-prey relationships in action. Much more exciting than standard museum fare. Hall of Ancient Egypt explores the ancient civilization and culture. And get this: They have a real mummy! Animal lovers will feel at home among the thousands of animals that reside at the Houston Zoo. Gorillas, orangutans, chimpanzees, and howler monkeys – they’ve got ‘em. Snakes, reptiles, and amphibians – you’ll find them too. There are elephants, lemurs, cheetahs, jaguars, and even a clouded leopard! Don’t forget to also visit the Zoo’s Kipp Aquarium. 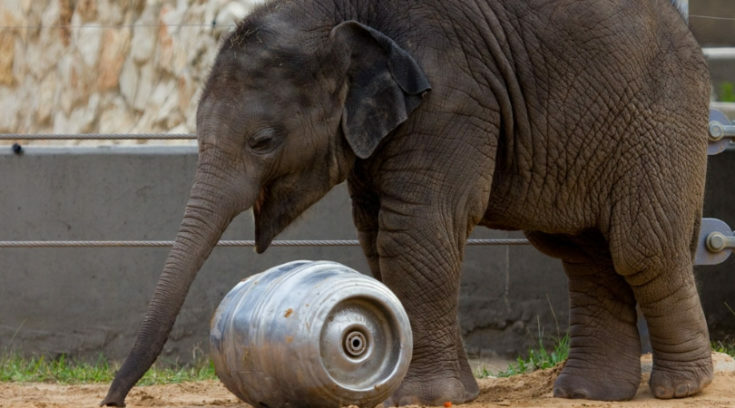 Kids will enjoy all the animals, but there’s a special section just for kids called the John P. McGovern Children’s Zoo. There’s also a Water Play Park featuring a friendly sea serpent and 37 ways to play. Hot Tip: If you’re traveling with kids, you’ll want to use the Houston CityPASS for the zoo instead of the museum. The Museum of Fine Arts offers free admission to kids 12 and under. So, if you want to go to the museum, your kids can go for free and you can use the coupon in the ticket booklet instead. The Houston CityPASS includes access to permanent collections and non-ticketed special exhibitions (these vary throughout the year). Hot Tip: The museum is closed on Mondays. Also note that the museum closes at 5pm on Tuesdays and Wednesdays. So, if you’re a real art lover and plan to spend a full day viewing all the exhibits or want to visit later in the day, I recommend going Thursday – Sunday when the museum is open later (9pm on Thursdays; 7pm Friday-Sunday). Kemah Boardwalk is like an amusement park community on the waterfront. Rides include the 65-foot Century Ferris Wheel, Double-Decker Carousel, Drop Zone free fall, and the Bullet – a 96-foot wooden roller coaster. That one’s not for the faint of heart! Travelers visiting Kemah Boardwalk will also enjoy games and a slew of waterfront restaurants to choose from. The Houston CityPASS gives you an All-Day Ride Pass (with certain exclusions). As a CityPASS holder, you can buy tickets at a discount for the deluxe rides not included on the pass. Kemah Boardwalk is a great choice for adults or families. If you don’t have kids with you, Kemah will be an easy choice over the Children’s Museum. If you do have kids in tow, weigh your options. Choosing Kemah means more cost savings, but it’s going to depend on whether your kids are into rides. It might also depend on the weather – amusement parks aren’t as much fun in the rain. 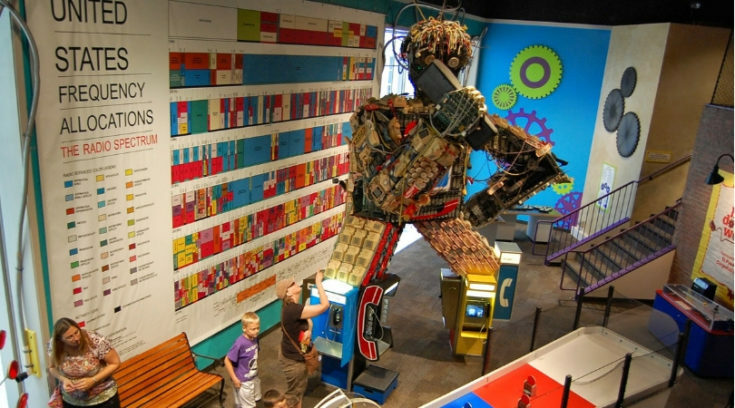 This kid’s haven features 15 interactive exhibits your little ones will love. Touted as “a playground for your mind,” the displays are meant to be educational and fun. Kids learn about the properties of water and hydropower by getting hands-on (or rather, hands-in) at the FlowWorks exhibit. They participate as productive members of the community in Kidtropolis, a city ran entirely by kids. In Invention Convention, children use their imaginations and spare parts to build their own creations. If you’re traveling with kids (especially kids who are into science), the Children’s Museum will be a great time for them. Save Up to 47% on Sightseeing – The main benefit of the Houston CityPASS is that it can save you a nice bit of money. If you choose the two most expensive options (Houston Zoo and Kemah Boardwalk) and visit all five attractions, you’ll cut your sightseeing expenses in (almost) half. That’s hard to pass up! Streamlined Entry – Hate wasting time in lines? Who doesn’t! For most of the included attractions, you can skip the ticket lines because your tickets are in your booklet. That means less time wasted and more time enjoying your day. Valid for Nine Days – If you prefer a relaxed pace when sightseeing – say one attraction a day, or even every second day – you’ll love that the Houston CityPASS is good for nine days. No need to rush. Variety – There’s a nice bit of variety included on the Houston CityPASS. You’ve got something for animal lovers, space/science buffs, art aficionados, thrill seekers, and kiddos. And having a choice for two of the attractions adds to its versatility. If you like a bit of everything, I think you’ll be happy with this its selection. Additional Tips and Discounts – There’s more to the ticket booklet than you think, like some additional savings opportunities at gift shops, discounted admissions, and more. Visit Houston and Save Up to 47% – Save up to 47% at some of Houston’s top attractions with the Houston CityPASS. Get yours here. 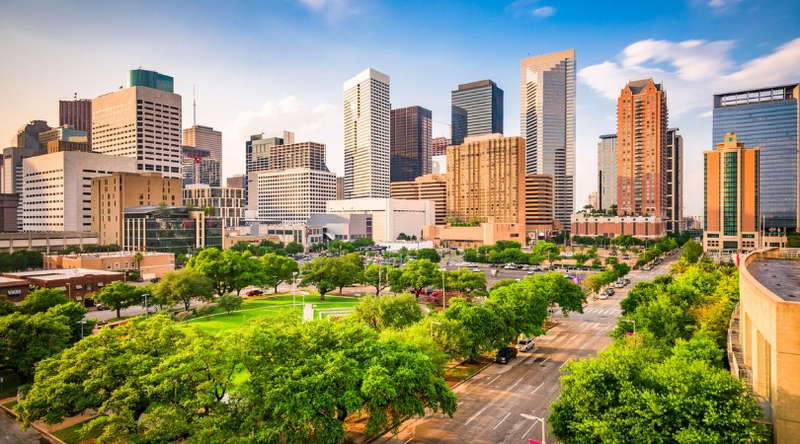 The Houston CityPASS can help cut your sightseeing costs in half, and that’s awesome. Like with all sightseeing passes, though, it’s not perfect. My biggest complaint is with the ticket booklet. While its has some key benefits, like skipping the line and all those extra discounts, couldn’t all that be available as an electronic pass? Additionally, it doesn’t make sense to exchange the mobile voucher for the ticket booklet. Why not just make mobile tickets that you download upon purchase? That would cut out a step, saving time for everybody involved. The other thing that drives me nuts about the physical ticket booklet is that you’re not allowed to tear out your own tickets. So, if you’re getting ready for your day and know you plan to visit the Space Center, you absolutely cannot rip out that ticket, stick it in your wallet, and go. If you do, your tickets are considered invalid. I know this isn’t a huge deal; just take the booklet with you. But it just seems silly to me. Again, this issue would be eliminated if the Houston CityPASS were available in electronic format. First-Time Visitors – If it’s your first time in Houston, these attractions all have something new to offer. 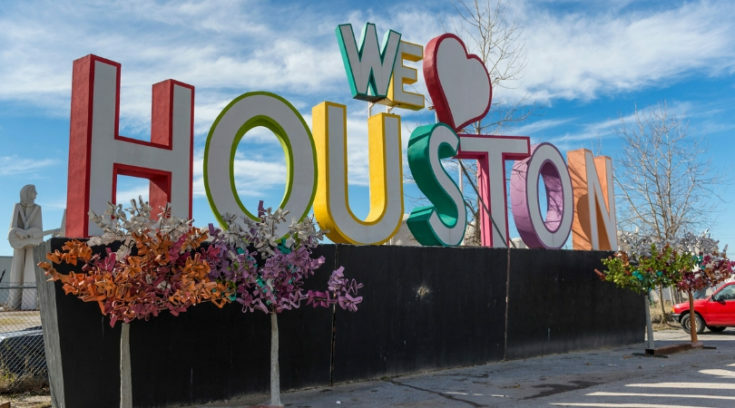 Anyone Visiting at Least Four Attractions – If you’re interested in at least four of the seven attractions and are confident you’ll visit them, you’ll definitely save money with the Houston CityPASS. Travelers Who Enjoy a Chill Pace – Enjoy traveling at a slower pace? The Houston CityPASS is valid for nine days. Travelers Who Crave Variety – I think the Houston CityPASS offers a good selection of attractions. If you have varied interests and like to change things up, this pass might be a good fit for you. It’s also nice that there are two either/or choices, so you can customize the pass to your tastes. 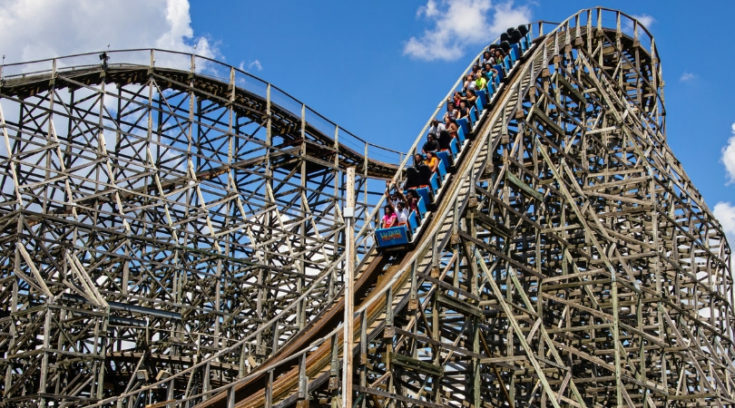 Anyone Who Won’t Visit Four Attractions – If you don’t think you’ll visit at least four of the sites, the Houston CityPASS isn’t a good buy because you won’t save money. 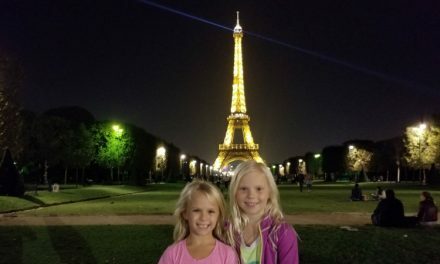 There are some combinations of three attractions that will still result in savings, but if you visit four, you’re guaranteed to save. Extreme Budget Travelers – If you’re on a really tight budget, you might not want to drop $62 on a sightseeing pass. Visit All Five Attractions – To get the maximum value from the Houston CityPASS, you should visit all five attractions. If you visit any four, you’re still guaranteed to save, but obviously not as much. Choose Kemah Boardwalk and the Houston Zoo – To save the full 47%, use the Houston CityPASS for the most expensive combination of attractions. That means opting for the Houston Zoo and Kemah Boardwalk for your two choices. Don’t Forget About the Coupons – If you really want to see all seven attractions, you can still use the additional coupons to get discounted admission to the Children’s Museum and the Museum of Fine Arts. Kids Under 12 Get Free Admission to the Museum of Fine Arts – Speaking of which, kids under 12 are free to the Museum of Fine Arts…so, take that into account when planning how to best use the pass for family sightseeing. Don’t Rip Out Your Tickets – Apparently, only attraction staff are allowed to rip out your tickets. If you do it yourself, the ticket may be deemed invalid. Watch Expiration Dates – If you buy the Houston CityPASS in October 2018, you need to activate it by February 29, 2020. I don’t think many people are buying sightseeing passes a year and a half in advance, but there it is. And don’t forget, the pass is valid for nine days once activated, including that first day. There are a couple of ways to buy the Houston CityPASS. The easiest is to buy it online now. If you buy it online, you’ll have another choice to make: have the ticket booklet shipped to you or get an electronic voucher that you’ll exchange for a booklet when you hit your first attraction. If you have the booklet shipped, you won’t have to exchange anything. 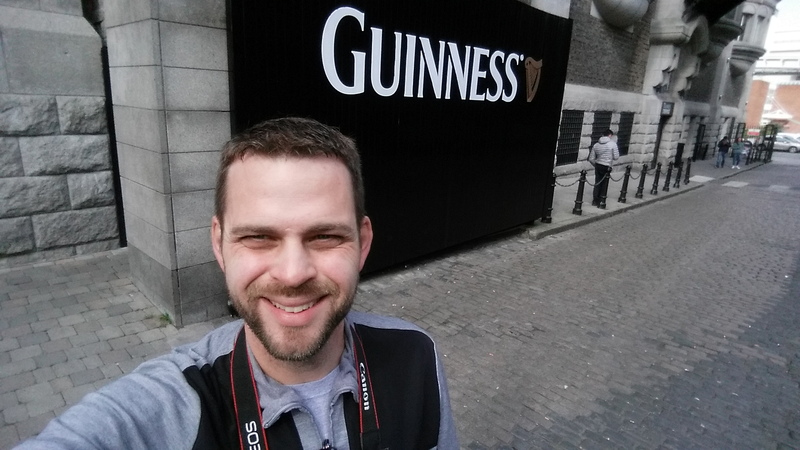 You can just head on into the sites you want to visit. However, I’d be worried about misplacing the booklet before my trip. Plus, it’s another thing to pack and keep track of. I’d prefer to get the voucher on my mobile phone and deal with the annoyance of exchanging at the first attraction. (Actually, I’d prefer it if the pass itself was available electronically and the whole exchange thing was cut out, but I think I’ve already made that clear). Note that if you want to go the voucher route but don’t use a smartphone, you can always print the voucher at home or at your hotel. If you’re interested in visiting at least four of the attractions, I think the Houston CityPASS is a great buy! If you visit all five, that’s even better. By choosing the most expensive combination of attractions, you’ll save a whopping 47%! That’s a savings that’s hard for any traveler to pass up. Thanks so much for reading, and enjoy your trip to Houston! Save Up to 47% in Houston – Visit 5 of Houston’s top attractions and save up to 47% with the Houston CityPASS. Use the link above to get yours now! NextAllianz Travel Insurance Review 2019: Do I Need It?